Taxi Service in Jind: We are helping the visitors with quick and instant car rental services here at Jind. 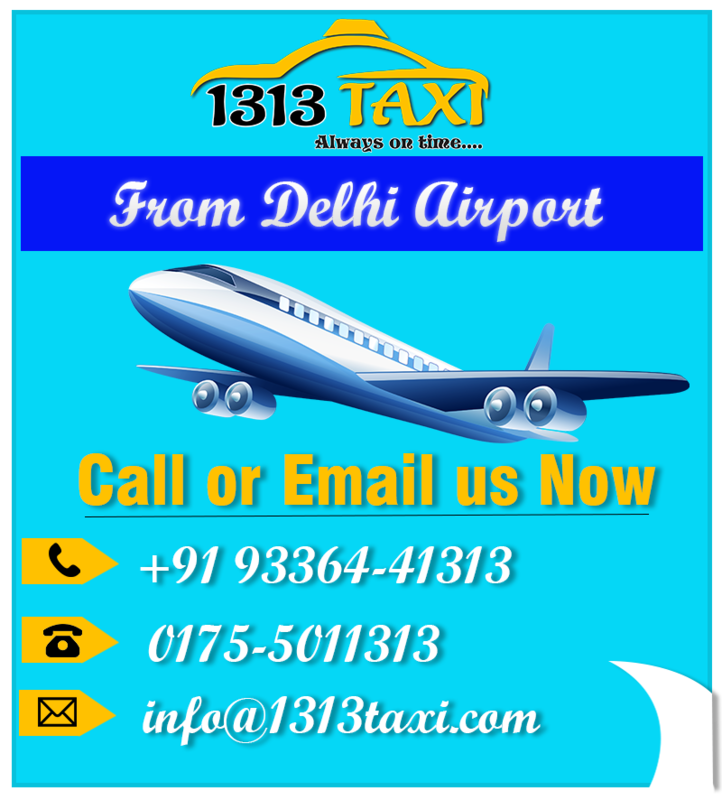 1313 taxi has a comfortable and marvelous taxi service in Jind at reasonable prices. Book our taxicab in just a moment with easy clicks. Our customers will also enjoy huge occasional discounts as well. Call us at +919216041313 and place your order from your home. Similarly, you can drop us an email or text message for instant booking. Moreover, a great variety of vehicles is available for 24 hours to assist you immediately. Our attractive and quick home pick and drop cab service in Jind will pick you up from your doorstep. Likewise, our prices are quite reasonable and eye-catching. Because we charge nothing extra for the home pick and drop taxi service in Jind. Further, we assure you will have a distinctive and unforgettable traveling experience with 1313 taxi. It is our promise that you will spend a brilliant time with us that you never had before. So rush to us at +919216041313 and enjoy tremendous facilities with Jind taxi Service. Thousands of genuine reasons are there for the visitors to make a way to us. First and foremost, we have been awarded several awards because of rendering exceptional and quality taxi services. Our persistence, competence, and dedication towards work make us the best taxi service in Jind, Faridabad, Rohtak, Yamunanagar, and Karnal as well. Similarly, our drivers are certified, qualified and professionally trained. They have undergone the hard training. Similarly, they are fully dressed up, well-behaved and soft-spoken. Our drivers know it very well how to treat our valuable customers. Accordingly, they try to make their journey comfortable, hassle-free, and enjoyable with taxi service in Jind. They have done an award-winning job for us and helped us a lot in gaining the customer’s trust and faith. We have achieved a huge success in such a short period of time. The whole credit is gone to our drivers and other supporting staff members. Since our inception with a taxi service in Patiala, we have faced a fierce competition in the tours and travels industry. Competitors are just making efforts to lack behind the competitors to be in the driver seat. Likewise, at 1313 taxi, we have learned a lot through the years. It has added a massive experience to us. Consequently, today we got ourselves as a fully furnished taxi service in Ambala, Panipat, Sonipat, Delhi and so on. Moreover, we also have taxi service in Chandigarh, cab service in Jalandhar, taxi service in Ludhiana, Mohali and Sangrur etc. So, wherever you are, we will assist you right there. Call us now at +919216041313 and save your valuable time with us. 1313 taxi is the only tourist services providing company in the industry maintaining a huge fleet of vehicles. Our fleet includes luxury and deluxe vehicles of the current year model. They are technically advanced and of modern outlook. Here you have another option for you. That is you can select your vehicle as per your choice and requirements. Similarly, it will give you the freedom to travel with your favorite vehicle. 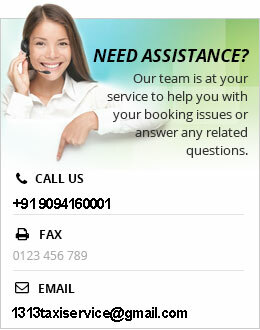 Hence, our taxi service in Jind is available with variable quality features. In the recent past, we have seen massive bookings for the family tours. In this regard, 1313 taxi has launched tempo travelers a few years ago. Today, these are quite popular and are running with advance bookings. Correspondingly, we have deluxe and luxury tempo traveler service in Jind, tempo traveler service in Sonipat, tempo traveler service in Ambala, Panipat, Rohtak, Faridabad and Karnal and many other cities of Haryana and Punjab as well.